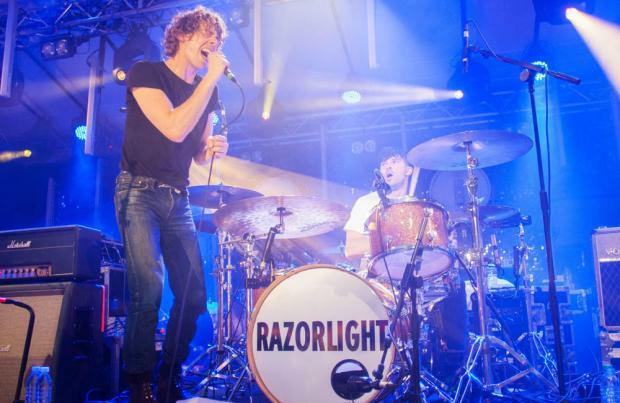 Razorlight will to perform their first live show as a band in two years at this year's Isle of Wight Festival. The 'America' rockers - currently comprised of Johnny Borrell, David Sullivan Kaplan, Joao Mello and Gus Robertson - will perform at the music extravaganza held at Seaclose Park in Newport, Isle of Wight between June 18 and June 11. They join new line up additions, The Kooks, The Pretenders, Alison Moyet, Starsailor, Space, Melanie C, Scouting For Girls, Tom Chaplin, Alex Francis, Lucy Spraggan, Bang Bang Romeo and more. The Pretenders' Chrissie Hynde said of their slot at the festival: "I'm absolutely over the moon to be playing the Isle of Wight Festival; it is one of the most iconic festivals of our time. "I'm so humbled to be playing a festival that so many legends have performed at. I cannot wait." Former Spice Girls singer, Mel said: "I'm really looking forward to playing the festival in June. It's one of my favourite festival and a great way to start the summer." They also join previously announced headliners Arcade Fire, David Guetta and run DMC and Sir Rod Stewart. As well as, Rag 'n' Bone Man, Bastille, Kaiser Chiefs, Catfish & The Bottlemen Zara Larsson, Clean Bandit, The Vamps and The Amazons. The event's organiser, John Giddings commented: "This makes it one of the best line-ups we have ever had. Roll on June!" Meanwhile, Razorlight frontman Johnny Borrell, 36, previously revealed to that a reunion with his bandmates was "an open book" and that they would record a new album - a follow-up to 2008's 'Slipway Fires' - if it was "for the right reasons. Asked if he'd be up for reuniting the 'In The Morning' group, he exclusively told BANG Showbiz last year: "We've never officially split up! I always say Razorlight is an open book and one day there may be another record. But to do it for any reason other than because we felt we had some great music to give the world, and each other, wouldn't be right." Tickets for the Isle of Wight Festival are on sale now.